Its an outdoor umbrella with a creative difference. Not just in function but in form as well. 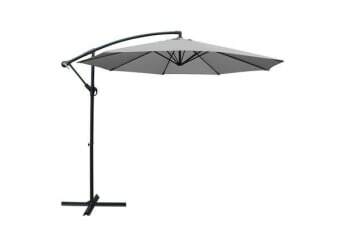 Introducing the Cantilevered Outdoor Umbrella. 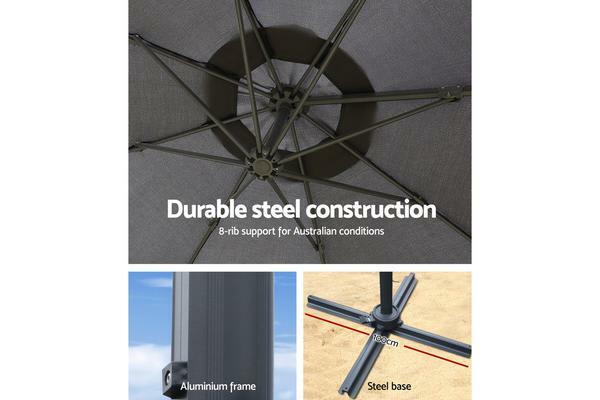 As alfresco relaxing and dining at home is fast becoming a favourite past time for many people, our Outdoor Umbrella is a perfect complement to any outdoor furniture setting and dcor. 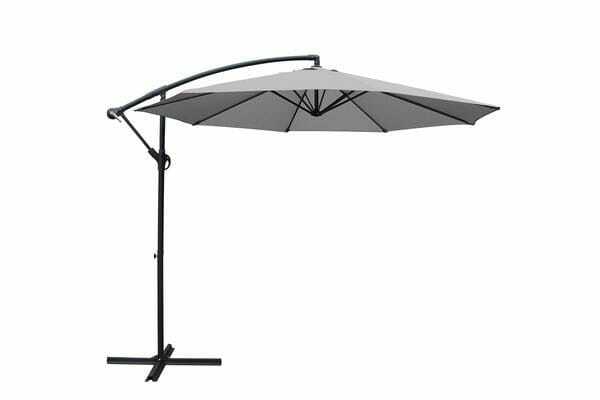 Featuring an elegant waterproof and UV-resistant fabric top covering 3m in diameter, the Outdoor Umbrella utilises a cantilevered side post to allow maximum useable space under the shade. No centre pole to get in the way of your enjoyment. 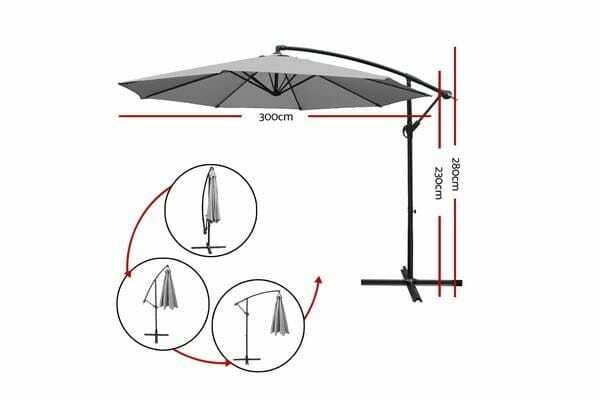 So deck out in style and enjoy the best of fun under the sun without any weather worries with Cantilevered Outdoor Umbrella. Get yours today for a great summer!